I realize that when I am faced with a problem on iOS or watchOS, for which I wish there were an automated, “power user” mechanism to simplify it, I reach for Siri and hope for the best. Having AppleScript at my disposal is great, but I am also frustrated that Siri doesn’t live on my Mac. 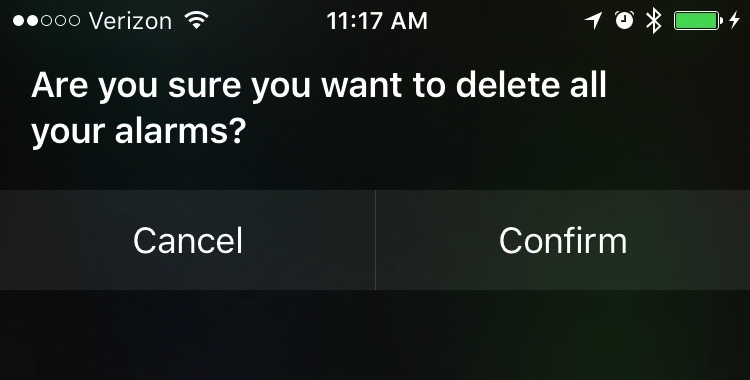 I should be able to invoke the dictation UI (fn-fn keystroke, by default) and ask Siri to “add to my reminders,” or to perform any of the other common tasks I can perform with my phone or watch. Siri is more limiting than AppleScript, because it can only carry out tasks that Apple’s engineers have predicted that I will want to perform. But it’s also much easier than opening up Script Editor, scrutinizing a scripting dictionary, spending 10 years learning AppleScript, and then writing and running a script. Ideally, I’d like to have the best of both worlds: the ease of asking Siri to perform complex procedures and the option of extending the catalog of procedures that it knows how to perform. And I’d like this perfect combination of ease and extensibility on all of Apple’s platforms. Since the debut of the iPhone, people have speculated about whether we would ever see an official solution for automation, along the lines of AppleScript or Automator. I think we’ve actually been seeing it since Apple acquired and integrated Siri. I hope that one day this will culminate into the consistent, extensible solution for automation that I have imagined here.